Who let the dogs out? 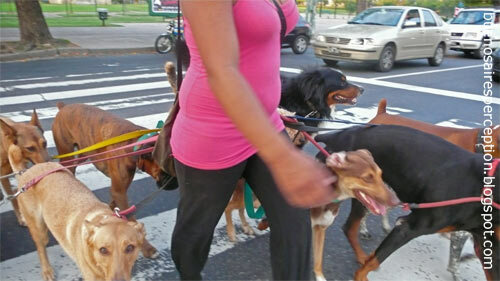 Well, this is quite a common scene in Buenos Aires. This girl is walking the dogs for a living.